Real stories. We live in an age where transparency and honest values are revered. I must build with integrity and marry that with innovation. In an era of falsehoods and misinformation, telling stories in good faith matters more than ever. This means that brands that tell a story about the ecology or empowerment should imbue that ethos into every aspect of their organization. Own your story and this will build your tribe- fearless, sophisticated advocates of your brand. I had the pleasure to interview Michael Trzecieski and Lisa Harun. Patent Agent and Physics Engineer, Michael Trzecieski was born in Krakow, Poland and grew up in Toronto, Canada. His formative years were spent training to become a professional skier but careful parenting steered him towards academics and a passion for developing products. 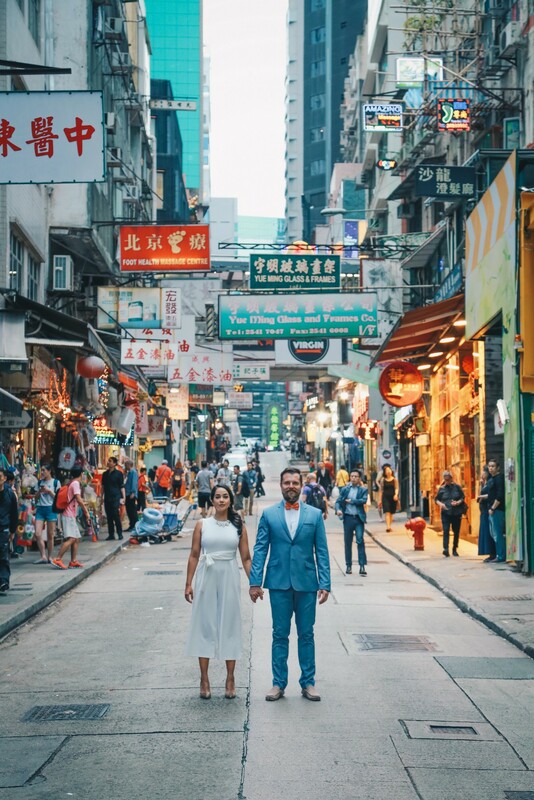 Michael’s career took him to the far-flung locales of Hong Kong and inspired him to dive head first into a life of entrepreneur — where his most recent endeavor has him leading VAPIUM®, a global vaporizer brand. From childhood, Michael has had a fascination with how things work and dismantled anything he could get his hands on, much to his parents chagrin. His grandfather helped to hone this talent from conception to construction. Since then, Michael has seen the success of his products in Brookstone, Target and Walmart. He has worked with the likes of Phillips and Segway and is most proud of his creation, Robopet, created from a broken from an umbrella. Since then, Michael has founded a robotics company and a successfully funded Kickstarter project. He has 11 issued patents, many pending and authored over 200 patents. For nearly 20 years, Michael shares his passion for robotics and innovation, as a guest lecturer and judge at the CMS School in Lucknow, India for the annual QUANTA science and math competition. 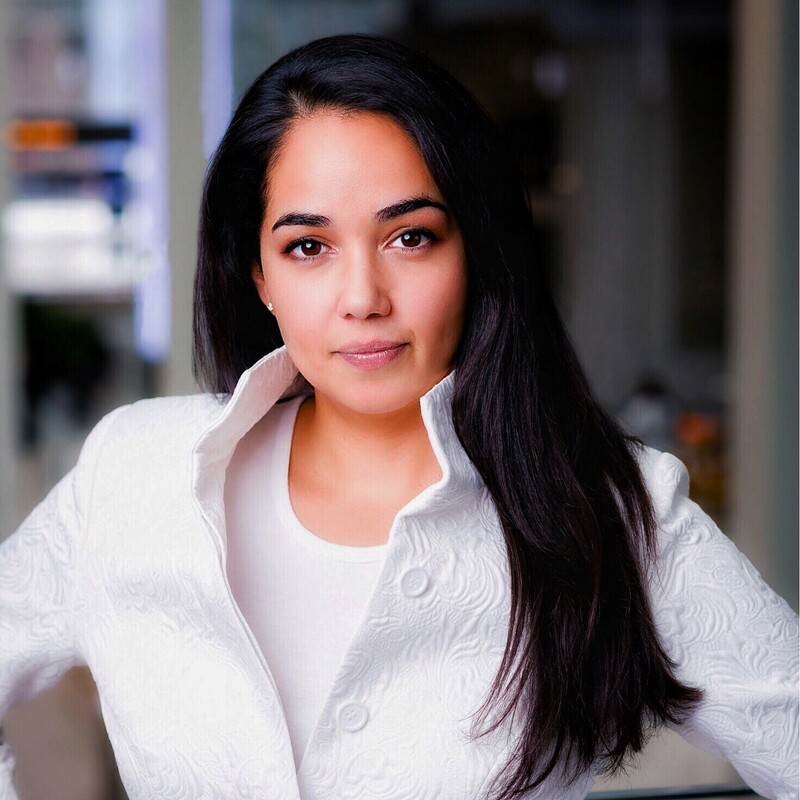 Lisa Harun is the CMO and Co-Founder of Vapium Inc- a data driven, MedTech Company leading three brands in the Cannabis Industry and is a MaRS Advisor; MaRS Discovery District is one of the world’s largest urban innovation centers, cultivating high-impact ventures and equipping innovators to drive economic and social prosperity in Canada. In 2013, she co-founded Vapium with Roboticist Michael Trzecieski. The company’s three brands sell in over 20 countries and is a resident at Jlabs Toronto (Johnson & Johnson). Lisa’s background is in Sales, Marketing and Strategy. Lisa has been a MaRS Volunteer Advisor since 2010 working with ICE, Social Innovation and mainly Clean Tech. Her experience spans Energy/Environment, FMCG, Fashion, Media, Robotics and Toys. She has appeared on TVO, StayRootd, Humble + Fred Morning Show, The Roll Up Show and MTV. Written for Entrepreneur, HuffPo and recently spoken at ElevateTO, New West Summit, DisruptorsTO and O’Cannabiz. She has also been profiled in Rogue Stories, Business Insider, LadyBoss, Lionness Magazine, Swaay and recently featured in the Top 100 Women in Cannabis High Times. My co-founder Michael and I owned a robotic company that made teachables and toys. In 2012 we found ourselves with a suite of brilliant robots and a community who yearned for the i-life (iPod, iPad, iPhone), not expensive robots that you could programme. It was this realization that made us pivot. Being Canadian, we saw that legalization was on the horizon and we were inspired. We did a deep dive into the space and found that no one was encouraging an active lifestyle around consumption nor truly focused on developing medical products. This is how our first product was conceptualized and how Vapium was conceived. Vapium is a MedTech company focused on developing technology in the cannabis space for over six years and to that end we have developed three distinct brands: Vapium, Hyer and, most recently, Vapium Medical. We’re committed to building products that people love. We invest heavily in R&D, and production — our factory is ISO 13485 certified — and we work collaboratively with the best partners (including academic institutions, growers, design firms and software developers). I will reposition this and frame it as the most relevant story that has happened since co-founding Vapium is the feedback that we receive from patients. How our technology has improved their lives, allowed them to live better or is part of their treatment protocol. This is why we started the company and what continues to drive us into the future- being patient first. Naming our products always makes me smile. It is one that you must be flexible on and try out quite a few before landing on the right one. I lead marketing for the team and thankfully Michael is a patent agent. Since inception we have filed IP around everything we do- and most importantly trademarks. To us, naming a product is the first step in building its character and its position in our brand family (post design and engineering). Our flagship product had many names we fell in love with until the fateful name search ensued. Much to our chagrin, Big tobacco shares a category with our industry and has trademarked many excellent names. Summit™ series went through two name changes before we found the perfect one. As a small company we did not have the means to challenge big tobacco. Crestfallen, we reluctantly walked away from some brilliant names- but not before creating packaging and assets that now live in our library on the history of our company. Dosing. We have recently started clinical trials with our medical platform that champions a patient centric approach, and seeks to empower patients, practitioners and licensed producers to utilize cannabis safely and effectively. Our Accudose™ platform enables dose standardization, data gathering, and the monitoring of effectiveness regarding symptoms and conditions. The collaboration surrounding this project has exceeded our expectations. We are working with international bodies and are in the process of negotiating a JV that will be a first of its kind within our vertical. I attribute my success to my partner, Michael, who is one of the most gifted engineers I have had the pleasure to work with. Without his insight and gumption, we would not have been able to engineer unique systems and patent them. He built our manufacturing team and subsequently our own factory. I am honored to be his co-founder and humbled by what we have built together. In 2012 he came to me and said what do you think about vaporizers? I said I don’t want to go to jail (living in Asia came with zero tolerance) but let’s do it. We haven’t looked back since (occasionally sideways but always toward the future). Next I give gratitude to our distributors– Puff, Australian Vaporizers, Conscious and Greenlane (formerly VapeWorld) — the ones from the very beginning who took a chance on a small company and gave us our first orders. A particular mention goes to someone who has given Michael and I support and guidance for many years: Adam Schoenfeld. Adam’s intricate knowledge of the industry has helped shaped some of our decisions and we are lucky to call him a friend. Word of Mouth. Stunt marketing, flashy campaigns and big parties won’t be what your brand is remembered or recommended for. No one brand will be all things to all people. Carving your niche and weaving that ethos through your strategy and execution will earn coverage and engagement. Be an Ally. Each sector of this industry is unique, but I think what sets it apart is the friendships it cultivated around the single goal of legalization. I count my competition as actual friends and that I would even go as far as defending and applauding their tech. Build up not down and rival companies can partner up for good. Build for lifetime value. Build products that transcend demographics and instead grow with your community throughout their lifetime. You must build strategy that continues to connect and resonate with your core audience and this is how you capture hearts and minds. A broad recognition that cannabis is medicine — it is remarkably rewarding to be able to innovate and bring to market new products that empower people to address their health challenges. Compliance. Guidelines and standards so that what we are building is defensible in 10 and 20 years. As a company we have sought employ best manufacturing practices from inception- our factory is ISO 13485 certified. People who use cannabis are stoners and are lazy couch potatoes. The reality, as evidenced by a number of studies, is that cannabis users tend to be more active and engaged than other individuals — and it’s abundantly clear that there are millions of talented and productive people who utilize cannabis in their daily lives. All cannabis is psychotropic –This is simply not the case. CBD, aka cannabidiol is psychoactive, however it is non-intoxicating (will not affect motor skills). Many users find that using CBD provides them with the health and wellness benefits of cannabis without the “high”. Heavy taxation of medical patients. It can be difficult and take time to raise capital. When we started the company (in 2013), it was hard to raise capital from conventional sources and we had no choice but to bootstrap the company — we believed in what we were building, so we raised funds from friends and family, reinvested every dollar we made and essentially financed the company on our credit cards. Since then the stigma around the industry has been reduced (especially in Canada) — and we’ve been able to able to raise as much capital as we need — but we still have a revenue-focused “eat what we kill” mentality. Start lean with a strategy to scale. Being too top heavy can mean you have no operators or executors. Luckily we are of the roll up your sleeves and dive in tribe. We are makers and started as a management team of three who thankfully were all talented and able to execute. We ran that way until 2017. Regulations will change (often) — make sure you are equipped for compliance. Our creative visions changed quickly when Canada released packaging guidelines. You must be agile enough to adapt, otherwise it can be very costly. You must focus, grind and stay true to your vision. We started Vapium with a focus to build medical grade equipment, setting standards where there were none. We were often told that recreation was the future and that is how we should build- but what we saw was that legalization would bring this plant into the light as true medicine and that many people would ultimately benefit from access to medical products and medical manufacturing would stand the test of time. Choose your partners wisely. I took a consulting role at a small investment firm years ago. The portfolio was diverse and I learned so much from a set of very successful people. There was a come to Jesus moment when I saw the true colours of one of the principles and then I decided that I would severely vet anyone I worked with. Anyone you partner with or employ is a direct reflection of you- people are inherently flawed but you must chose people who you are proud to work with. Define your mission and be steadfast — this is deceptively simple but when you build a company that uses that tool on a daily basis all of your decisions ladder back to the idea of what are we doing to make this company better? Your team is built around that idea and will teach them to work and grow together. You have to care. When your vision and mission are, for example, tied to creating value and building the best damn thing, then everyone will start to think that way. Build systems into your DNA — understand the process so you will be consistent in your results. Invest in training. Be the company that people turn to when they need direction or advice. Build growth potential — you must mentor and advise and have the wisdom to know the difference. Good will. I think that as an industry we need to build CSR programs into our framework. Ideas centered around upliftment — the notion of investment in community building, giving back, sharing. Transformation- I love seeing the international growth in this industry- how farming is transforming, how we are breaking down barriers. I think that is one of the most inspiring aspects of this industry- it’s an industry of second chances. It was built on the fringes and as it’s brought into the mainstream, it’s the characters who sat on the fringes that cannot be forgotten. Patagonia initiated an amazing action this year by balking against corporate tradition and donating profits to the environment. I would love to see some of the larger LPs initiate programs that benefit the environment or that inspire the next round of entrepreneurs. Illustrating that we are not simply focused on profit but building a foundation that will serve hundreds of millions of people and that will bring together the seams of community. Personally I have started to build a program with a unique group of community leaders that I believe will be transformative. We will be announcing it later this year.